There were a few non-park meals too on my recent trip to Disneyland. In and around the resorts. 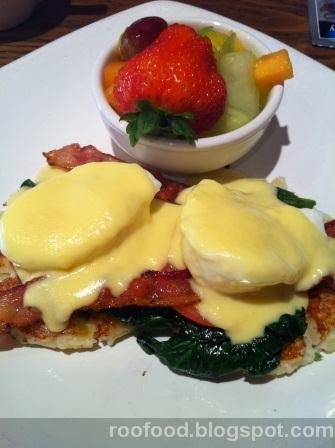 Fuelling up for a day of Disney, I had the Pomme Lyonnaise Benedict - potato galettes topped with hickory-smoked bacon, sauteed spinach, sliced tomatoes, poached eggs and traditional hollandaise. Served with fresh-cut fruit. Very good. The eggs are poached to soft (but not oozy) and the hollandaise is creamy with a slight tang. Great start to the day. Breakfast is an important meal. I love my breakfasts. 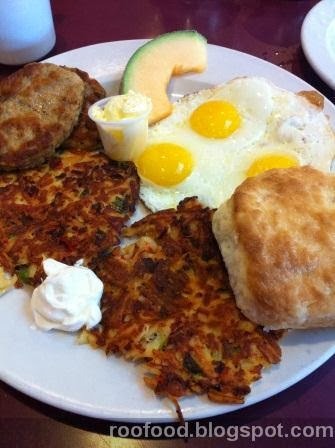 Eggs with corned hash, sausage patty and buttermilk biscuit. Three eggs were a bit to much and I didn't get through it all but it hit the spot. 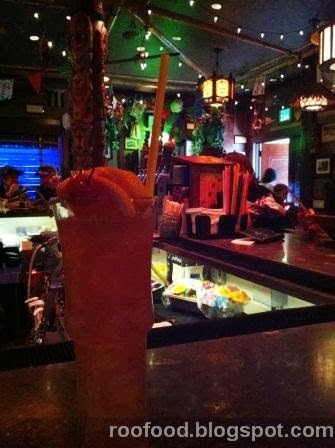 Over at Trader Sam's Enchanted Tiki Bar in the Disneyland Hotel, I had an afternoon break from the parks. 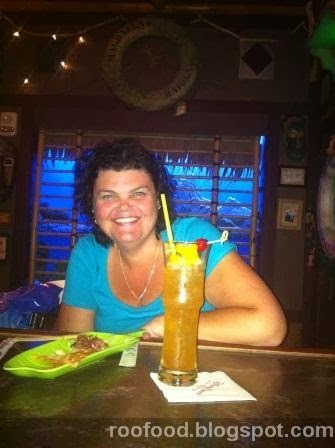 Inside it's a tiki hut style bar. 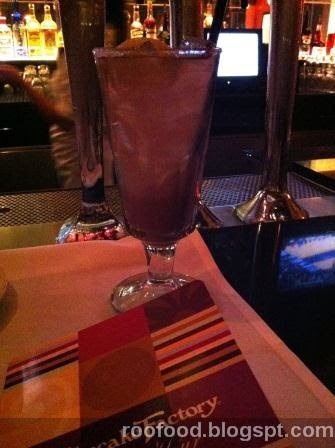 Perched at the end with a bird's eye view of the funky bar, I sipped on a Hippopotomai Tai with both light and dark rum, orange curacao, almond syrup, agave nectar and lime juice. It was refreshingly delicious! 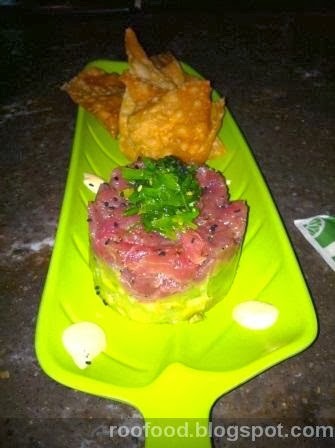 Something to nibble on perhaps - why not Ahi Poke with Sushi-grade Ahi, Avocado, Wasabi Yuzu, Sriracha Aioli and Wonton Chips. This dish is very refreshing. I love the combination of tuna and avocado in this dish. 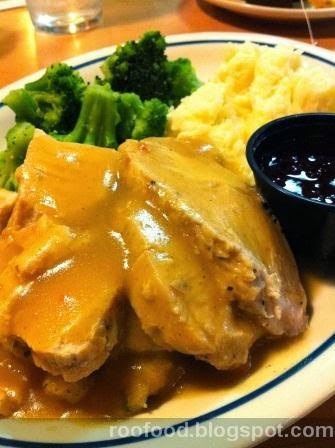 A visit to the USA has to include dinner at Denny's. This particular night I was cold and extremely tired. I just wanted comfort food and veggies. So I ordered the country fried streak with Parmesan mash and grilled zucchini and squash. It was a very simple meal but hit the spot! 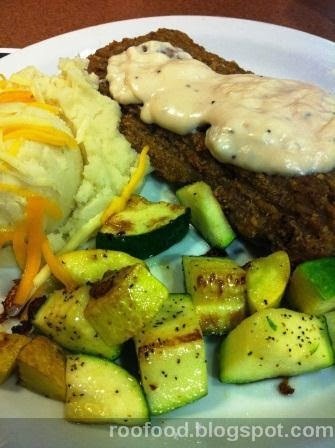 The fried steak was perfect and the sausage gravy smothered on top just made it even better. Denny's was super crowded though and I did have to wait for about 20 minutes. Denny's is across from the Entrance to Disneyland so a convenient stop for families leaving the park for a quick dinner so it does get busy around dinner time. 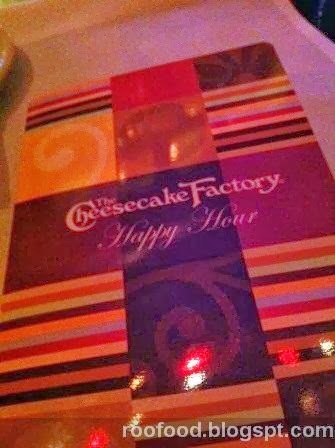 If you ever find yourself near The Cheesecake Factory, get there for Happy Hour. I was seated at the bar area and found myself ordering $5 Happy Hour specials. The bar is a busy spot, people dropping by for a pre-dinner drink, watching a game on the TV, girls enjoying a cocktail or two and generally everyone taking advantage of Happy Hour. The place is buzzing! Crispy crab wontons with crabmeat blended with cream cheese, green onions, water chestnuts and sweet chilli sauce. 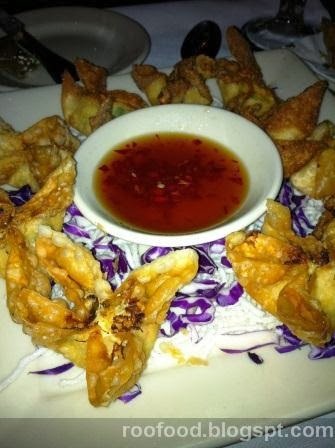 These were crispy deep fried wontons encased around crab and cream cheese. 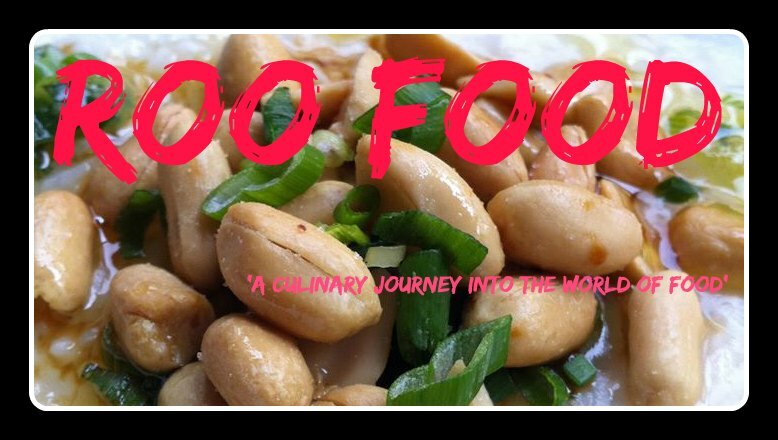 Very good particularly dipped in the sweet chilli sauce for a zap of chilli. 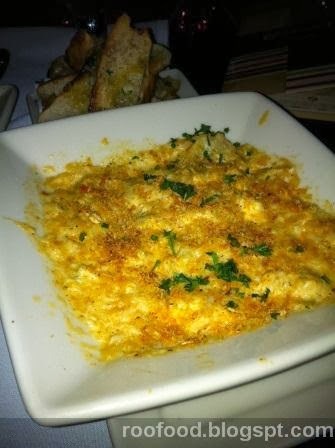 Warm crab and artichoke dip with crab, artichokes and cheese with grilled bread. Creamy and good chunks of crab.